To the civilized world, Bizantium and the waters and lands around it are frightening. A realm of sea serpents, monsters and barbarians. To the heroes and people who live there, it is a realm of adventure and opportunity. Discover for yourself the wonders that await. The Waterchanter, Serpent Chaser, Necromancer and other character classes. The man-eating Iceborn, their Raiders, Skinbinders and Sea Witches. 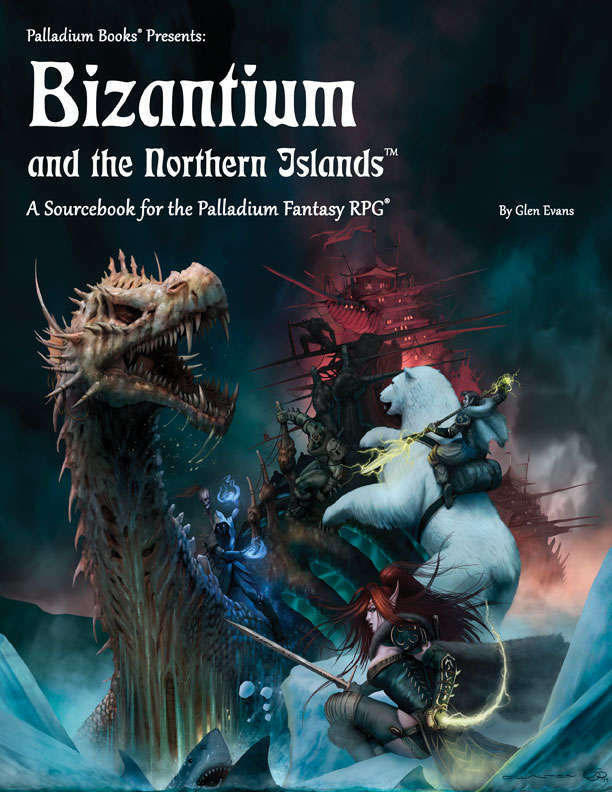 Bizantium as never before seen. Bizantium’s origin, history, and mysteries revealed. The Great Ice Shelf – a new continent to explore. Adventure hooks galore, and more. 192 pages of adventure written by Evans, Siembieda and Clements.